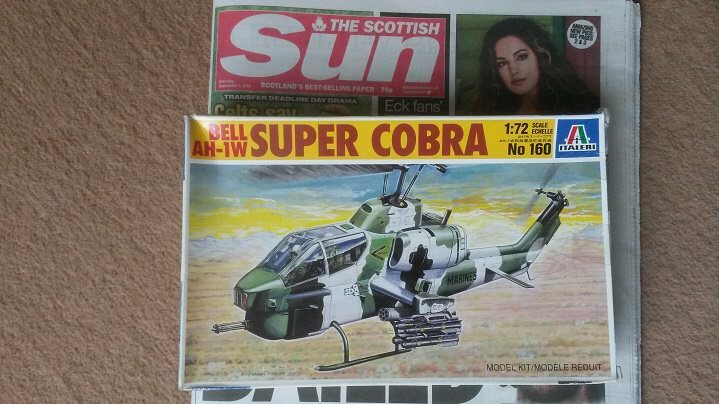 Good Morning everyone today is the start of the Helicopter building Campaign and below is the kit i plan to start building soon, the 1/72 italeri Super Cobra. In the background you can see today's "Sun" newspaper with the today's date on it, the 1st of September. Mods, could you make this post a "Sticky" that way it will be easier to find later on, thanks. If you want to see the rules and sign up, go here. Post campaign related discussion and in-progress photos in this thread. 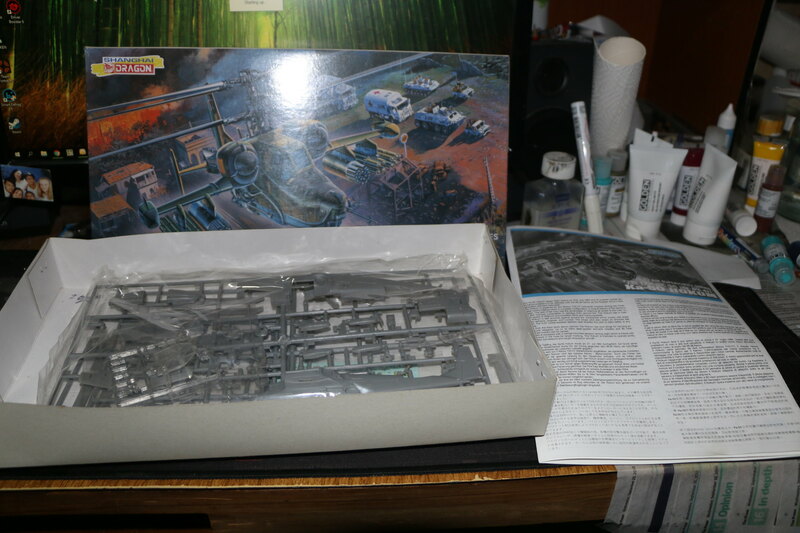 Pics of finished models should be posted in the campaign gallery. Have a great campaign everyone! Here's my entry. 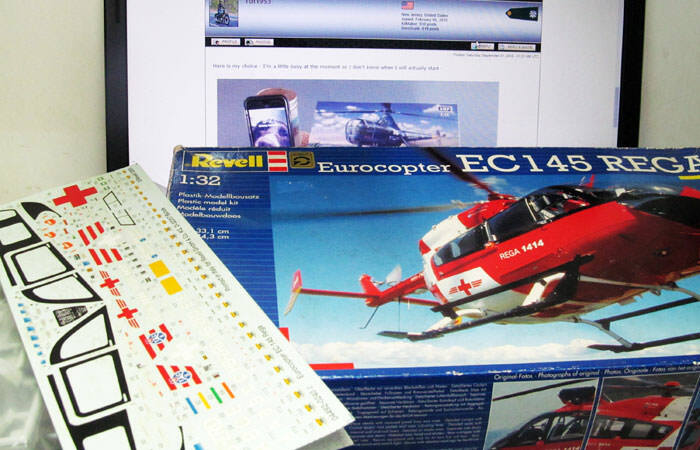 This is the first time I must face the gloss cover paint on the civil model. If it aint broke dont fix it. 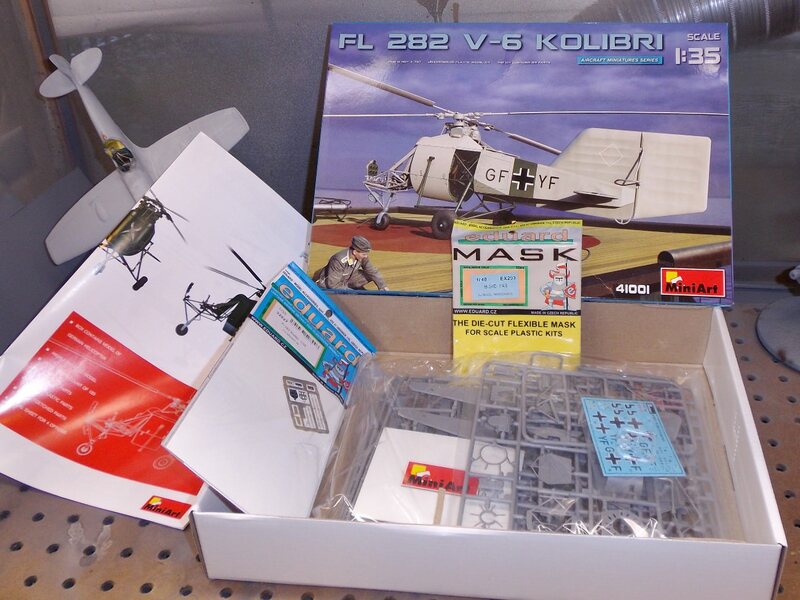 Started: this kit is really easy and goes together fast. My Kolibri. PE and Masks. 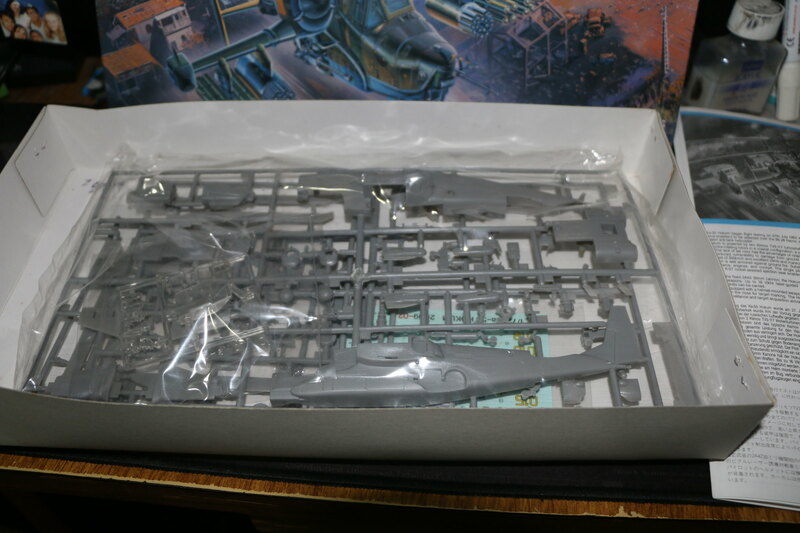 I will post pics of my (lightly) started Ka-50 when I get home from work. perhaps you've misunderstood the situation. 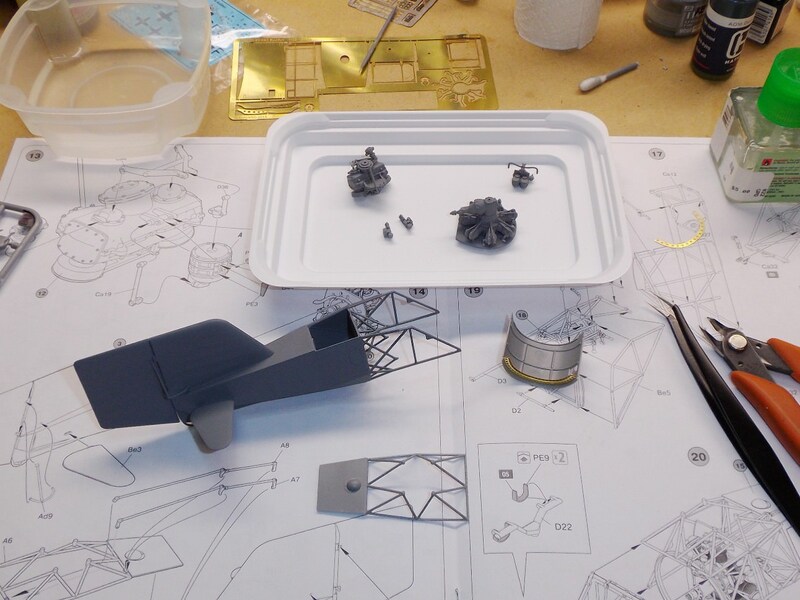 Lots of bits for the engine. 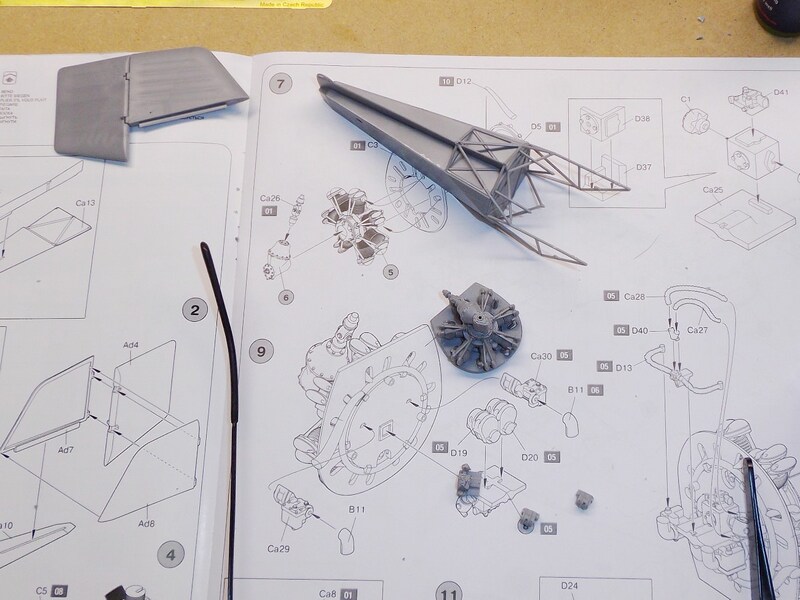 Drive shaft is not glued yet, nor is the exhaust pipe added - need to see how they align with the future parts. Deadlines are fine. At work. But i've come to the realization that deadlines and hobbies don't work for me. It ends up looking to much like work and that's not what i want. 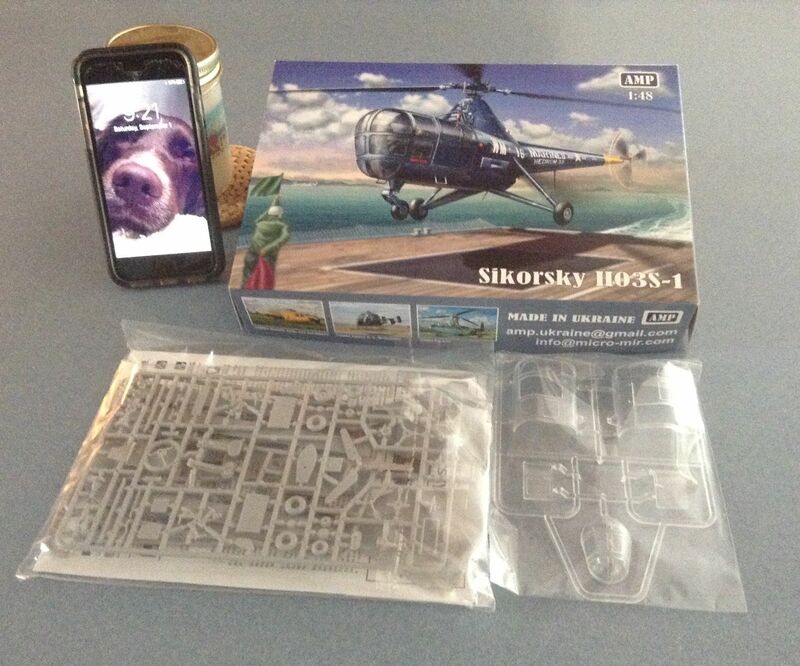 Above all i want hobbies to be fun. With that realization i've decided to stop all groupbuilds, campaigns etc. that i've started. Of course i'll keep watching the often amazing builds i see coming along in the campaign threads, i'll just not participate anymore. Sorry to hear your dropping out, it's the reason I set the end of the group build well into 2019. I'm not a fan of deadlines especially at work and at this time of year. So if you change your mind then feel free an join in again later on. Gallery already set up, so feel free to post away! Unfortunately, I'll be dropping from the campaign. My shop is being emptied and renovated. Maybe next time. 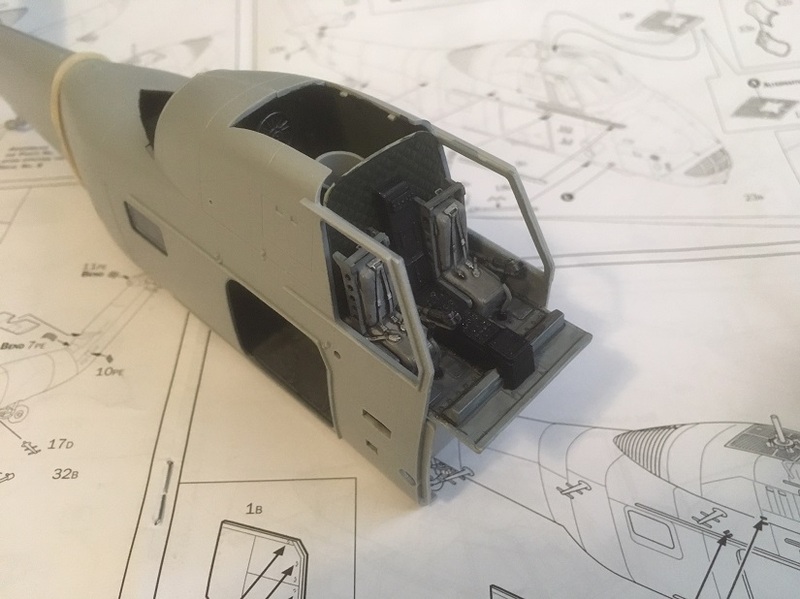 well i finally managed to get off my fat backside and get it in gear and start the italeri 1/72 super cobra at long last. 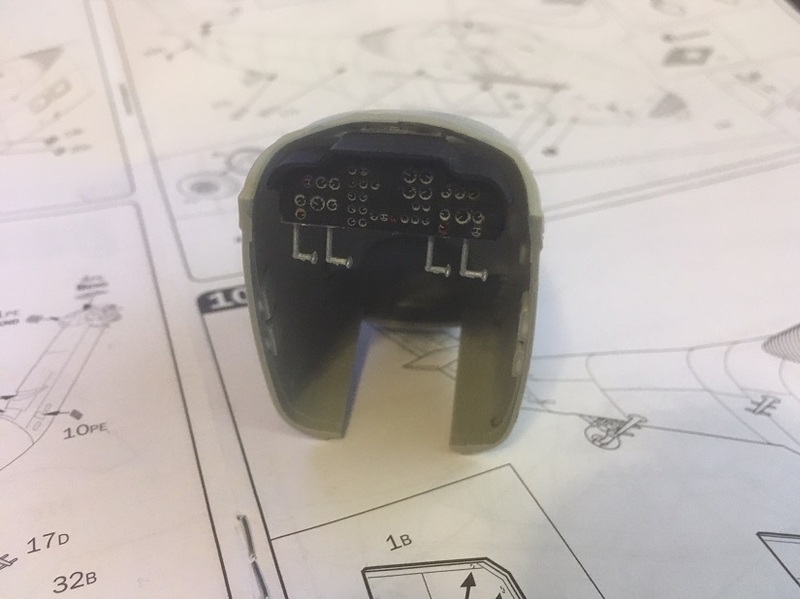 i have assembled the cockpit section so this picture is a little behind my current state but it does show the pilot seats with 1mm masking tape added to simulate seatbelts, the cockpit was painted using tamiya nato black. Forgot I was in this one, it dropped off of my post list. 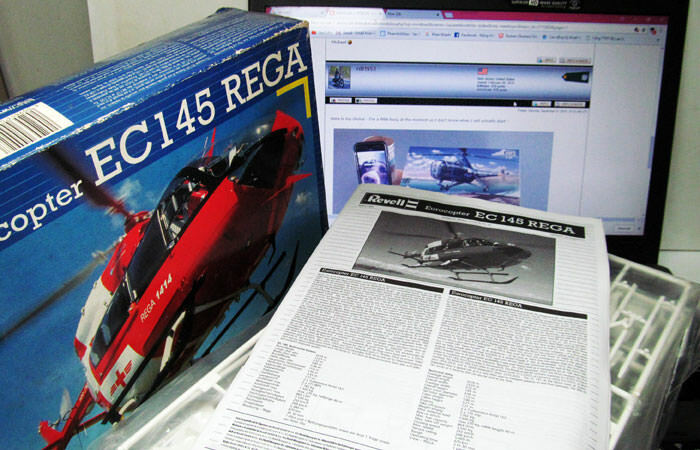 My plan is for this one: Kitech AH-1T Sea Cobra Hope the link works. I'm thinking it's a knock off of the Italeri kit. Wish me luck! 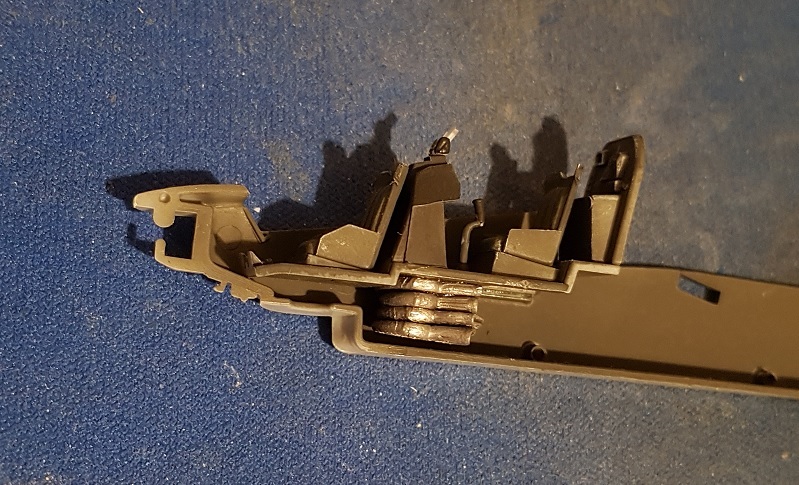 well i have assembled the cockpit section and added some weight to balance the nose in the form of some .22 air rifle pellets that were flattened with a hammer. 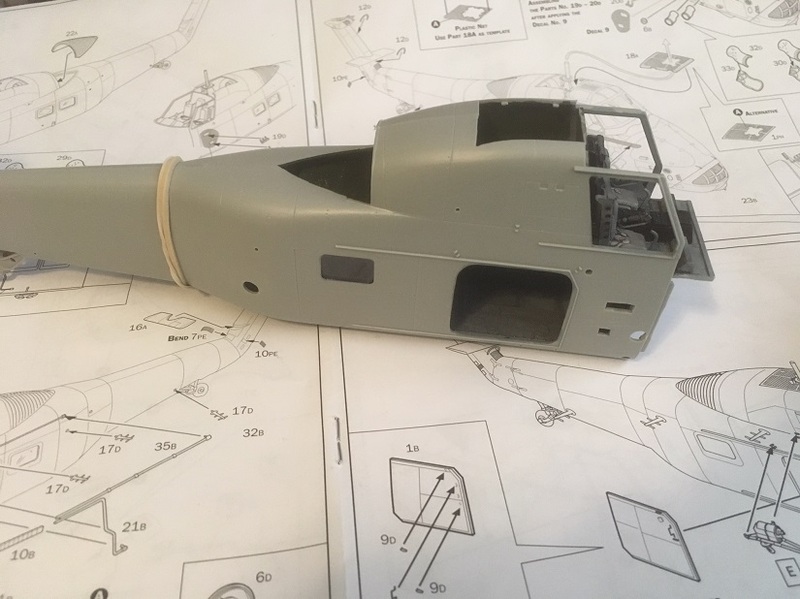 ok well i am now in the process of assembling the fuselage and have glued the rear area first, i shall then work on the front section, hopefully tomorrow. 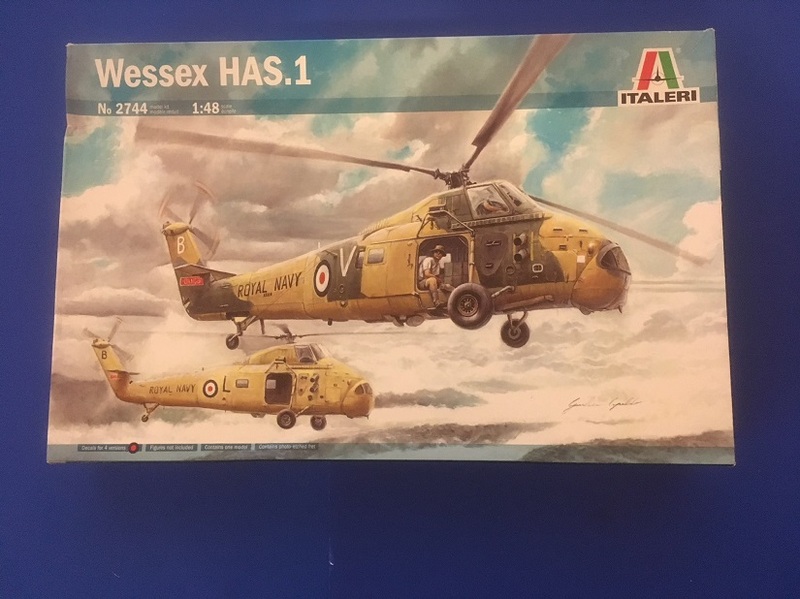 well I can see they look similar in their box art pictures but the italeri kit is equipped with hellfire missiles where as the kit you plan to build is show in TOW missile mounts on the stub wing pylons. Similar? It looks like the same art, just different star bursts. Same units, same decals? The 1/48 Italeri looks like it has the TOW, same as this one, can't tell about the 1/72 Italeri. 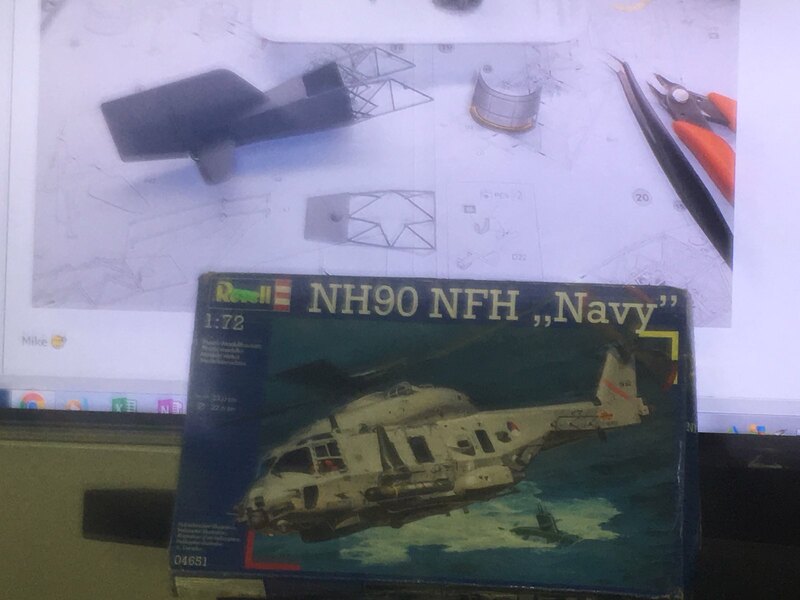 Well I've been slowly working away on my kit of the Kamov Ka50 Black shark and to be honest it's got so many stencils for a 1/72nd scale kit my flabber is completely gasted! The fit so far has been good with little issues and a smattering of putty neded in places. The contra rotating blades won't actually rotate if built how Dragon would have you do it. You'll need to create a plate for the tilt control rods if you atually want them independent of one another. A pretty simple fix but this time round I just glued it all together to save time. 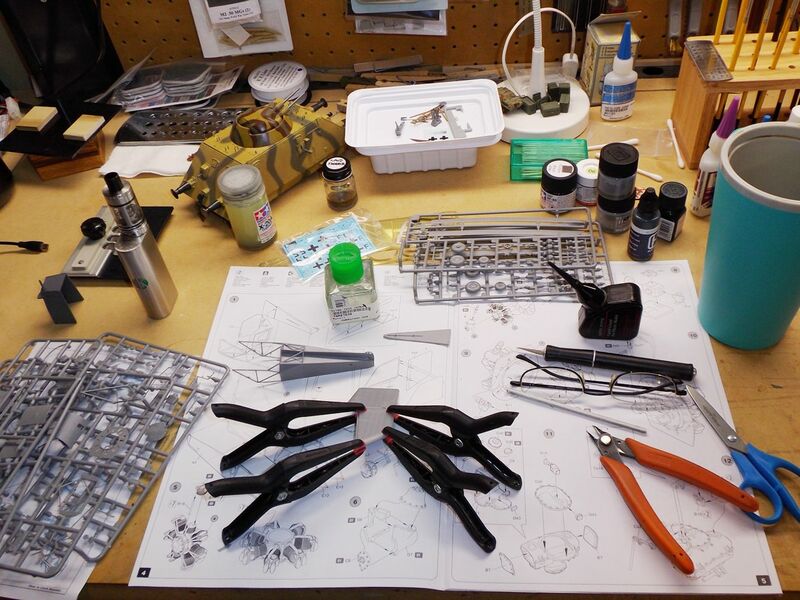 I've got a second example that I'm thinking about doing a build log for and making both sets independent. 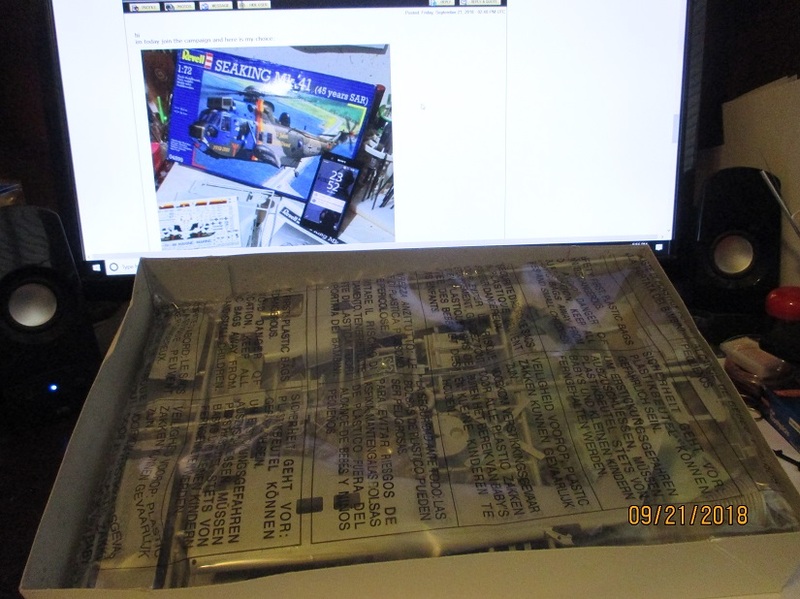 Any how here are the beginning shots for your edification.